Another one of Lee’s many alumni-turned-professors is Donna Summerlin. After graduating from Lee, Summerlin entered the educational system of her hometown, Chattanooga, Tennessee, where she taught in Hamilton County public schools for thirteen years. 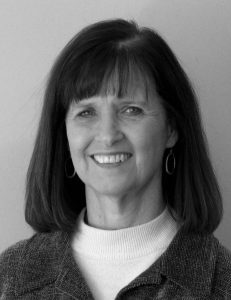 In 1988, she joined Lee’s faculty in the Department of Language Arts. Her specialty is Appalachian Literature, and she commonly teaches composition, humanities, Southern literature, and Modern Literary Criticism. After completing an M.Ed. and an M.A. at the University of Tennessee at Chattanooga, Summerlin received the Mellon Fellowship, which allowed her to pursue her doctorate, which she completed in 1995 at UTK. She a co-sponsor of the English honor society, Sigma Tau Delta. Summerlin is married to Terry Summerlin. Her son Nicholas resides in Ringgold, GA, with his wife Amanda Moody Summerlin, and their two children, Mason (7) and Morgan (1). Her son Justin, graduated from Lee in December 2003 and resides in Chattanooga with his wife Lorie Clark Summerlin (a December ’04 Lee grad who is enrolled in the Lee Master of Church Music program).